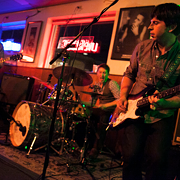 Four stages and four nights of great bands encompass the Ville music festival. Beginning in 1994 on a farm as Hookahville, the Ville has grown to what it is now. Bands in attendance this year include ekoostik hookah, Joe Russo’s Almost Dead, Lettuce, Papadosio and many more. Loyal fans travel from all over the United States every year to see ekoostik hookah. “I’ve been following hookah for over 12 years” a neighbor (from Indiana) told us. Ekoostik Hookah was formed in 1991 in Columbus and has been jamming ever since. They headlined Friday night, and had shows on Saturday and Sunday before the headliners. They played traditional hits like “Ohio Grown” and “Raging River,” both songs typical of jam bands. Blaring guitar solos, the hum of bass, and keyboards all make these songs so loved by their fans. But, on Friday night, their rendition of Pink Floyd’s “Shine On You Crazy Diamond” took the show. Fans loved it. We even saw a security dancing around. 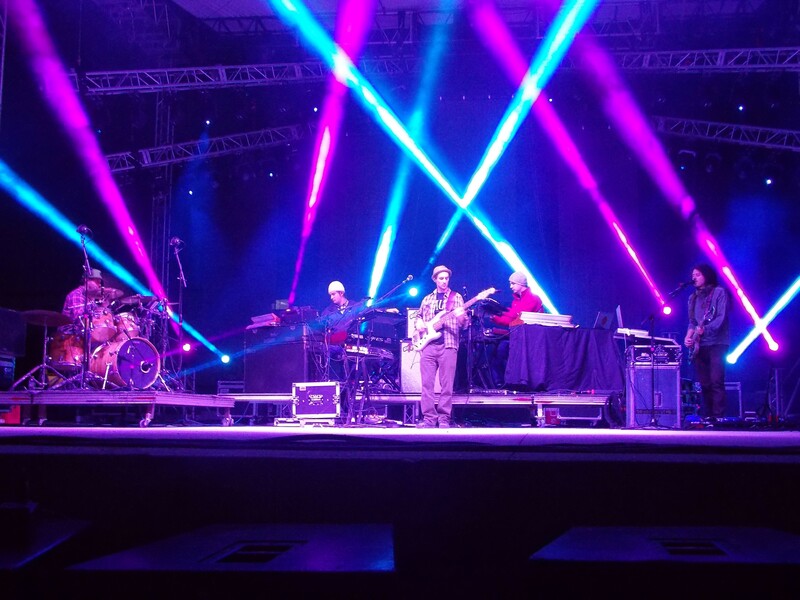 On Thursday night, Papadosio performed their mix of psychedelic-electronic meets reggae-folk music. Although they put on a good show, there was no interaction with the crowd. They went from song to song with no introductions or conversation. Nonetheless, they played well. Lettuce, the Saturday headliner, is a self-proclaimed “old-school funk band.” But, they were not that. They jammed with simple guitar riffs and piano chords and didn’t receive very much recognition from the crowd. Alecia Chakour, a soul singer touring with the band, was the best part of the show. They performed “Don’t Be Afraid to Try,” a bluesy soulful song reminiscent of early blues funk. Overall, the show was decent, but nothing to remember. The highlight of the whole weekend was Joe Russo’s almost dead. Joe Russo, the creator of the band, was an original member of Further with Phil Lesh and Bob Weir. As a Grateful Dead Cover band, they played hits like “Playing in the Band,” “Shakedown Street,” “St. Stephen,” “Estimated Prophet,” and “Eyes of the World.” It felt like you were almost at a dead show. Joe Russo, the drummer, played whole-heartedly and really sounded like the dead’s original drummer, Bill Kreutzmann. Keyboardist Marco Benevento also stole the show. He helped hold the musical landscape JRAD created together. The last show of the four-day festival, it was the biggest one in attendance. Overall, the festival was a mix of jam, electronic, and bluegrass music that is unlike other big festivals. Old deadheads and new-age hippies alike came together to dance and sing and to enjoy the music. The music may have brought everyone there together, but the people and the atmosphere is what made the festival as good as it was. From loyal hookah fans to new attendees, everyone enjoyed the positive, safe atmosphere of the ever-growing festival. JRAD may have been the highlight of the show, but the people is what make the Ville what it is and always has been.